If there is one thing that we have learnt regarding FODMAP testing here at Monash University, it is that there are a HUGE number of factors that can influence the FODMAP content of a food. This is why it is very difficult to decide whether a food is high or low in FODMAPs simply based on an ingredients list. Different food processing methods in particular can influence the FODMAP content of a food. The classic example here is sourdough spelt bread, where spelt flour by itself is a high FODMAP food, the sourdough fermentation process used to make it into bread results in the end product being low FODMAP. 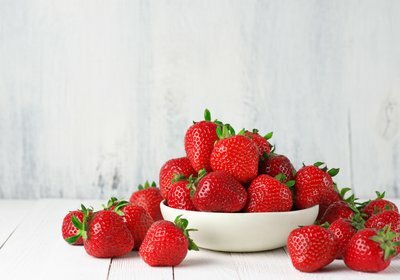 In the same way, the natural process of ripening can affect the FODMAP content of certain fruits. We recently tested guavas for our app and made an interesting discovery when both ripe and unripe guavas were tested. 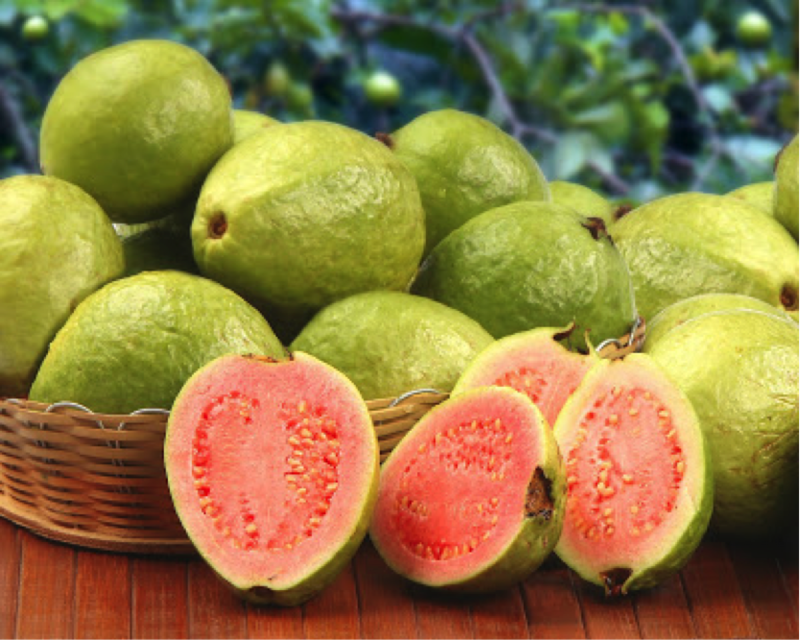 Our testing found that whilst a serve of well ripened guava was low in FODMAPs, an equivalent serve of unripe guava was high in FODMAPs. The ripening process therefore results in an overall reduction in the total FODMAP content of guavas. 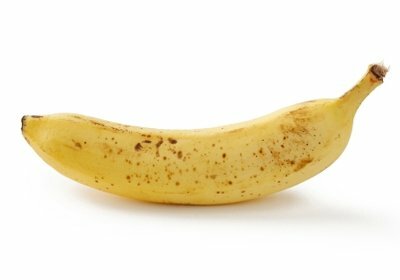 The opposite is true if we consider sugar bananas, where the ripening process results in a total increase in FODMAP content. This is just another reason why the food testing we do here at Monash University is so important, as we know that different foods behave very differently in terms of FODMAPs, even when they are subject to the same processing methods/natural conditions. So now that ripe guavas have been given the green light, you can enjoy the following recipes for making guava jelly (jam) and guava and rosemary glazed chicken breast. 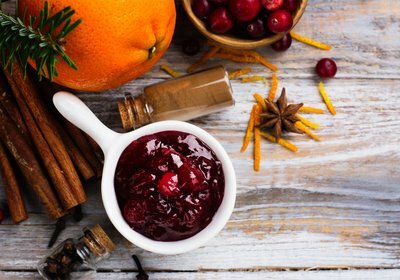 Guava jelly (jam) is a delicious traditional Columbian food that can be used as a low FODMAP alternative to quince paste with your favourite cheese, spread on toast or used as a fantastic marinade for chicken, duck or turkey. Pour jelly into sterilised jars and seal. Preheat oven to 200 degrees. Line a baking tray with baking paper and set aside. In a small saucepan, over medium-low heat, combine guava jelly, lime juice and rosemary sprigs. Heat until the mixture reaches a liquid consistency. In large frying pan, over medium-high heat, heat oil. Season chicken breasts with salt and pepper. Coat seasoned chicken in flour and place in hot pan. Cook chicken for 5 to 10 minutes per side or until cooked through. Transfer chicken to baking tray. Pour guava mixture into two small bowls. Generously brush guava mixture from first bowl over chicken breasts. Cook in oven for 10-15 minutes or until guava glaze begins to caramelise. Slice chicken breasts and divide onto 4 serving plates. Brush chicken with guava mixture again from second bowl prior to serving. Serve with low FODMAP roast vegetables or salad.